The recent data security breaches at United States retailers have compromised the identity and financial information of not less than 100 million Americans. At the February 3, 2014 Senate Banking Committee hearing Mr. William Noonan, U.S. Secret Service Deputy Agent in Charge of the Criminal Investigative Division of the Cyber Operations Branch, testified that Russia has not extradited any criminals to the United States for these crimes or any similar identity and financial information theft crimes. Cyber crimes are transnational crimes and the worldâ€™s leading nations must work together to protect their citizens. Â Foreign countries cannot be safe havens for cyber-criminals.Â Greater international coordination to combat these crimes is necessary. Â Given Russiaâ€™s presidency of the G-8 for this year, it is important this is addressed at the highest level. We respectfully ask that Treasury Secretary Lew also raise the extradition issue during the next G-20 Finance Ministers meeting later this month.Â We also encourage you to raise cyber crime and extradition at all G-20 and G-8 meetings this year. We look forward to working with you and your Administration to ensure the safety and security of all Americans. WASHINGTON, DCâ€” In this weekâ€™s address, President Obama said he will do everything he can to make a difference for the middle class and those working to get into the middle class, so that we can expand opportunity for all and build an economy that works for the American people. The audio of the address and video of the address will be available online at www.whitehouse.gov at 6:00 a.m. ET, Saturday, February 8, 2014. Hi, everybody.Â In my State of the Union Address, I talked about the idea of opportunity for all. Opportunity is the idea at the heart of this country â€“ that no matter who you are or how you started out, with hard work and responsibility, you can get ahead. I ran for President to restore that idea, and Iâ€™m even more passionate about it today.Â Because while our economy has been growing for four years, and those at the top are doing better than ever, average wages have barely budged.Â Too many Americans are working harder than ever just to get by, let alone get ahead â€“ and thatâ€™s been true since long before the recession hit. Weâ€™ve got to reverse those trends.Â Weâ€™ve got to build an economy that works for everyone, not just a fortunate few.Â And the opportunity agenda I laid out last week will help us do that. Itâ€™s an agenda with four parts.Â Number one: more new jobs.Â Number two: training folks with the skills to fill those jobs.Â Number three: guaranteeing every child access to a world-class education.Â And number four: making sure that hard work pays off, with wages you can live on, savings you can retire on, and health insurance thatâ€™s there when you need it. I want to work with Congress on this agenda where I can. But in this year of action, whenever I can take steps without legislation to expand opportunity for more American families, I will.Â Iâ€™ve got a pen and a phone â€“ a pen to take executive action, and a phone to rally citizens and business leaders who are eager to create new jobs and new opportunities.Â And weâ€™ve already begun. In Wisconsin, I ordered an across-the-board reform of our training programs to train folks with the skills employers need, and match them to good jobs that need to be filled right now. In Pittsburgh, I directed the Treasury to create â€œmy-RA,â€ a new way for working Americans, even if youâ€™re not wealthy, to start your own retirement savings. In Maryland, I rallied the leaders of some of Americaâ€™s biggest tech companies to help us make sure all our kids have access to high-speed internet and up-to-date technology to help them learn the skills they need for the new economy. And at the White House, I brought together business leaders whoâ€™ve committed to helping more unemployed Americans find work, no matter how long theyâ€™ve been looking.Â And I directed the federal government to make hiring decisions the same way â€“ based on whether applicants can do the job, not when they last had a job. So when you hear me talk about using my pen and my phone to make a difference for middle class Americans and those working to get into the middle class, thatâ€™s what I mean.Â And Iâ€™m going to keep asking students and parents and business leaders to help â€“ because there are millions of Americans outside Washington who are tired of stale political arguments, ready to move this country forward, and determined to restore the founding vision of opportunity for all. And so am I.Â Thanks, have a great weekend, and to our Olympians in Sochi, go Team USA! With the Super Bowl just ending, fantasy football fans will have to wait until next season to ponder the success of Russell Wilson. But it turns out there is a fantasy league for economists. So sorry to those of you with Paul Krugman on your team, because I am siding with Joseph Stiglitz in his argument that income inequality is slowing the recovery. Where Stiglitz and Krugman disagree is on how inequality shapes the important outcomes of the market in the present. Here they differ because Krugman argues against the idea that income growth that favors the rich hurts restoring demand for goods and services that make employers hire more people because the rich save rather than consume. Krugman points to the evidence showing that despite rising income inequality, aggregate consumption has been quite healthy. But, while consumption by the rich is helping the sale of goods and services, and so keeping Gross Domestic Product (the value of all goods and services produced in the country) growing, rich people spending is a not poor person spending. Stiglitz believes inequality is slowing the current recovery. Economists Steven Fazzari and Barry Cynamon Â point out that consumption by the top 1 percent has grown by 17 percent since 2009 when the “recovery” began and just 1 percent for the bottom 95 percent. Business knows that spending patterns are different, as a Â New York Times articleÂ explained this week. Darden, a chain of sit-down restaurants, grew from a base of its middle-class restaurants-Olive Garden and Red Lobster. Those brands now sag in sales, while their upscale brand Capital Grille is growing fast. But it is more than restaurants that differ. If it is simply that more is spent at Capital Grille than Red Lobster, Kruger argues then presumably the wages and number of workers Darden would allocate to Red Lobster would fall but rise at the Capital Grille, so employment and income for the bottom 95% alsoÂ would grow. Elite institutions favored by the rich, like Harvard and Stanford, will raise tuition to capture the ability and willingness to pay of the rich, and in turn use those resources to bid for the best faculties in business and engineering. The ripple effect of those price shifts is to up the ante for those in the middle who want to become homeowners or send their children to college. Fazzari and Cynamon document that indeed the middle class kept up with those rising prices by borrowing heavily-too heavily as it led to a collapse in middle class demand when debt levels rose too high. The housing collapse froze middle-class homeowners, but families have continued to chase quality education by increasing their debt for college student loans. The second problem is that middle-class incomes lead to increased purchases of more things that lead to more jobs-like more automobiles. Increase income at the top instead leads to production of items with higher profit margins and prices-luxury automobiles and high-end appliances-not more cars and more appliances. So the collapse and lack of recovery of incomes in the middle mean that current consumption isn’t translating into more people being hired, just higher profits and higher prices for luxury items. Unfortunately, the lack of income recovery at the bottom is that rising prices are still outstripping the ability of many families to buy food. So passing farm bills that subsidize rich farmers, while cutting food to lower-income families will continue to exacerbate the difficulties we are having in growing demand at the bottom-demand that is linked to more jobs. Written by Joe Cordrey, and following his first volume of the same name, â€˜Reflections of My Mind: Volume Twoâ€™ continues the authorâ€™s bold pursuit of constructing verses around his personal experience, which each reader is free to interpret, as it applies to their own lives. Â From romance to psychedelia, each unique poem urges people to alter their way of thinking. Kewanee, IL â€“ While most poets release their work for personal benefit, Joe Cordrey has built a reputation of taking his work public, in order to change the lives of his readers. Â The second volume of his â€˜Reflections of My Mindâ€™ series does this effectively, fusing the authorâ€™s own personal experiences with boundless inspiration. An intimate and psychedelic journey, through the depths of imagination; uncovering the limitless expanse of possibility. As the author explains, he wants readers to embark on a deeply personal journey, as they turn the pages of his books. â€œThese arenâ€™t just words on a page, but an invitation for people to ponder the concepts I put forth, expand their intellects, and ultimately enhance the perception of their existences and the world around them,â€ says Cordrey. Part of Cordreyâ€™s mandate is to meticulously make each word earn its place. My artistry is the result of a wandering intellect, which can land on anything, at any time. Â My poetry ranges in subject matter, from childish to adult oriented; humorous to serious in nature; obscure to sensible. Â Through this, I attempt to maintain a personal feel. Â In many of my poems, the reader will find that I do not expound on things.Â This is by design. Â There is no part of creativity which calls for the author to enforce his own meaning upon the audience. Â Therefore, I invite every reader to decide for themselves what my poetry means. Â John Lennon is on record as saying, when he would write songs, he’d just put random words together. Â Yet, people hail him as a genius. Â That’s because those who listened to his and the Beatles’ music took the time to discover how it related to their own lives, in different situations. Â Too, I believe that being an artist is about discovery, and the ability to mold one’s talent into something interesting. Nationwide (BlackNews.com) — As the economy rebounds, many companies across the country are hiring new employees. In fact, the unemployment rate continues to drop, and even for minorities the numbers are getting better. Hundreds of companies even have aggressive diversity recruiting programs for jobs and internships. This means that they are specifically looking to hire African Americans, Hispanics, Asian Americans, Native Americans, and women. #1 – Allstate Insurance offers competitive jobs for college graduates and paid summer work experience for students who are still in college. Internships are offered in a variety of major and minor study areas. #2 – PricewaterhouseCoopers offers jobs for graduates, as well as opportunities for college students who are majoring in accounting and finance a chance to experience their skills in action in a real-world setting. #3 – Dell Computers has open job positions and internships in the areas of marketing and sales, finance and accounting, IT and more. Internships provide real-world experience for college students while they are still in school. #4 – Oracle provides career opportunities and a diversity internship program for students to gain knowledge and experience in the field of technology. Several different programs are available to meet the needs of people from all backgrounds. #5 – Microsoft offers competitive jobs and a internship program for current college undergraduate minority students pursuing a degree in computer science or software engineering. Students may apply in their freshman or sophomore year of college. #6 – General Motors has both jobs and internships available in the areas of communications, finance, information technology, marketing, engineering, manufacturing, health and safety. #7 – Merck jobs and internships are available to both college graduates and college students in the areas of research & development, sales & marketing, information technology, human resources, communications, finance and legal. #8 – Coca-Cola career opportunities are offered to both undergraduate and graduate college students in a wide area of study fields, such as finance, communications, logistics, business, human resources, environmental protection, and more. #9 – NASCAR is hiring employees and also interns for their NASCAR Diversity Internship Program is a 10-week, full-time, paid summer work opportunity for deserving students with an interest in the NASCAR industry, who are of Alaskan Native, American Indian, Asian/Pacific Islander, African American, Hispanic, or of other racial minority descent. #10 – Google is always looking to fill job and internship positions. They are rated No. 1 by Forbes as the best internship opportunity for college students interested in a career in software engineering. Google offers an open culture and rich learning experience as well as good pay. What Will (Y)our Legacy Look Like? Posted by Admin On February - 10 - 2014 Comments Off on What Will (Y)our Legacy Look Like? As America begins the annual ritual of “celebrating” the countless achievements of African Americans during the February observance of Black History Month, I think it makes sense to remind each other that the things we do every day will be the historical recollections for future generations. There is no question of the value of recounting the daring exploits, the against-all-odds battles won, or of revisiting the horrors and brutalities that marked our journey through this country’s history. I just don’t believe that enough of us approach our daily commitments with an eye on how our actions (or inactions) will impact the lives of Black Americans in the future. I could fill this space with the names of prodigious Black inventors, from Jan Matzeliger to Norbert Rilleaux, Garrett Morgan to Dr. Mark Dean. We all know the contributions of Samuel Cornish and John Russwurm and their Freedom’s Journal, the Sengstackes, Murphys, Vanns and Scotts, the John H. Johnson and Earl G. Graves and their heroic struggles to make sure our stories were told – accurately. We know of Madame C.J. Walker and A.G. Gaston and Alonzo Herndon and Oprah and Bob Johnson and Herman Russell and the empire builders of the business world. But today I want to give a Black History “shout out” to the millions of nameless, faceless business women and men who rose before dawn and got home long after everyone was asleep. The barbers, hairdressers, shopkeepers, brick masons, carpenters, cafÃ© owners, mechanics, painters, printers, shoe shine and repairmen. The tailors, grocers, ice, coal and wood deliverymen…. All the folks whose toils paved the way for us, paid the tuition to Howard, Morehouse, Johnson C. Smith, Fisk, Xavier, Dillard and all the “A&M’s” across the south! After nearly fifty years of successfully aspiring to “good jobs,” we are witnessing a boom in the numbers of Black Americans returning to our roots as entrepreneurs and business owners, and this boom couldn’t have come at a better time. When it’s clear that government solutions to income inequality fail to factor for or include us; when Black un- and underemployment threaten the nutritional health and educational opportunities for our children; when globalization of markets consigns our participation to the role of consumers… that’s when it should become clear the key role that Black business plays in our communities. The U.S Black Chambers, Inc. (USBC) is acutely aware of the battle that African Americans face in the marketplace today. When online purchases of clothing eclipses the purchases made inside actual stores, the opportunities for Black retailers practically disappears. Despite the obvious love affair Black folks have with hats, suits, shoes and boots, it is Nordstrom, Macy’s, Neiman’s and local designer boutiques that get their share of our income inequality, not Black-owned clothes sellers. We struggle to find a Black-owned grocery chain, even though African Americans spend a disproportionate share of their disposable income on food. Black-owned restaurants are an increasingly endangered species, even as national chains pad their bottom lines with the lion’s share of our discretionary spending on food…including sushi! Black automobile dealers fare a little better, though the 80s and 90s wreaked havoc on the number of franchised dealerships owned by African Americans. Without question, we continue to provide the comfortable profit cushion, particularly for luxury brand automobiles. (Remember, every dollar earned without advertising/marketing effort to earn that dollar is FREE MONEY!) Telecom companies, high-end electronics, “luxury” liquors, condo sellers and jewelers all positively salivate when their coffers fill up with Black dollars. Among the goals of the USBC, Entrepreneur Development is the loftiest, and most elusive, but we believe if we are successful at reigniting our passion for business ownership, we have the best opportunity to solve the challenges faced by Black America. The historical record of our ability to build colleges, insurance companies and hospitals proves that when necessary we can achieve monumental “wins” through collective entrepreneurial activity. And — in today’s terminology – joint ventures, mergers and acquisitions provide the context for our next collective steps in business growth. So, we at the USBC and our affiliates across the country encourage you to be more mindful, and more intentional as you pursue your dreams. Understand that 20, 50, 100 years from now someone will read the record of your contribution to life as they know it, and the fact that you made a lot of money won’t be enough to get your name in the record book. Business ownership opens doors of opportunity, not just for you and your family, but the families of your employees, associates, customers/clients, vendors and suppliers. That improved quality of life affords access to opportunities for education, earning, travel and the new worlds they discover will create future generations of inventors and history makers. Black History is made and celebrated every day… make sure that your everyday actions pave the way. 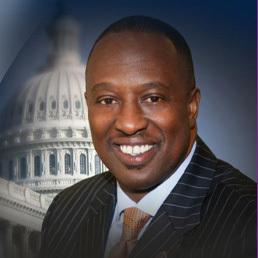 Ron Busby is President of the US Black Chambers, Inc.
CHICAGO, IL – The Better Business Bureau (BBB) serving Chicago and Northern Illinois is alerting consumers about Hearthware, Inc. and its product the NuWave Oven, which is typically sold through infomercials. This company is located at 1795 Butterfield Rd. Suite A, Libertyville, IL 60048, according to BBB records. In the past three years, 1,291 complaints from consumers in all 50 states as well as 3 different provinces in Canada have been filed against this company with the BBB. There have been 331 complaints in the past 12 months, 18 from Illinois. A review of consumer complaints shows a pattern of allegations and complaints. This company currently has an “F” rating with the BBB. Avoid becoming caught up in an urgent sales pitch. Many times sellers use phrases like “for a limited time,” “order now before prices increase,” and “in short supply.” Take your time to consider the purchase. Research the company and product. Go to bbb.org to obtain the Business Review on the company and check its BBB rating. Compare products and pricing. Search online to compare products and pricing from other manufacturers and sources. Read and understand the fine print. Make sure you understand purchase and return policies, restocking fees and exchange options. Obtain a delivery time. Request purchase confirmations and tracking numbers. Be suspicious if the business cannot supply this information. Pay by credit card and retain receipts. This allows you to more easily dispute charges. Check your billing and financial statements regularly for only authorized transactions. CARBONDALE, IL â€“ Illinois Lt. Governor Sheila Simon issued the following statement on President Barack Obama signing a new farm bill into law. â€œI applaud Congress for its efforts to work together in a bipartisan fashion to pass a farm bill. After much debate, a comprehensive piece of legislation has now been signed by the President. â€œAs chair of the Governorâ€™s Rural Affairs Council (GRAC), I know the importance of the Supplemental Nutrition Assistance Program (SNAP) and firmly believe cuts in the farm bill to SNAP are too drastic. While this is not a perfect bill, it takes important steps to assist farmers and support programs to increase access to fresh and local foods. Swing by the American Rhythm Center on Valentine’s Day, Friday Feb. 14 for a pre- or post-dinner dance soiree! Bring some friends, learn some new moves, and get up to $90 worth in Valentine treats! Come for an hour or stay the whole evening! Singles and couples welcome! At 6:30 pm with Dave Maxx of DMX Dance Company will teach a 30-minute Soul Swing (Chicago Steppin’) dance lesson. Practice your new moves for an hour – then get that boogie fever with a 30-minute disco lesson at 8:00 pm by Wilfredo Rivera of Cerqua Rivera Dance Theatre. Refreshments (wine, soft drinks, and nibbles) will be served, and all singles and couples will receive a goodie bag filled with special treats and up to $90 worth in certificates for local area businesses, including American Rhythm Center, City Winery, Bacchanalia Italian Restaurant, Fernando’s/Blue Agave Tequila Bar & Restaurant, and Sugar Bliss Cake Boutique! Nibbles provided in part by Corner Bakery (Michigan & Jackson). * Goodie Bag with over $55-$90 in certificates and treats.